Palestinian Authority Chairman Mahmoud Abbas on Saturday swore in a new government headed by a loyalist from his dominant Fatah party, a move rejected by his Islamist rival Hamas as a blow to unity efforts. 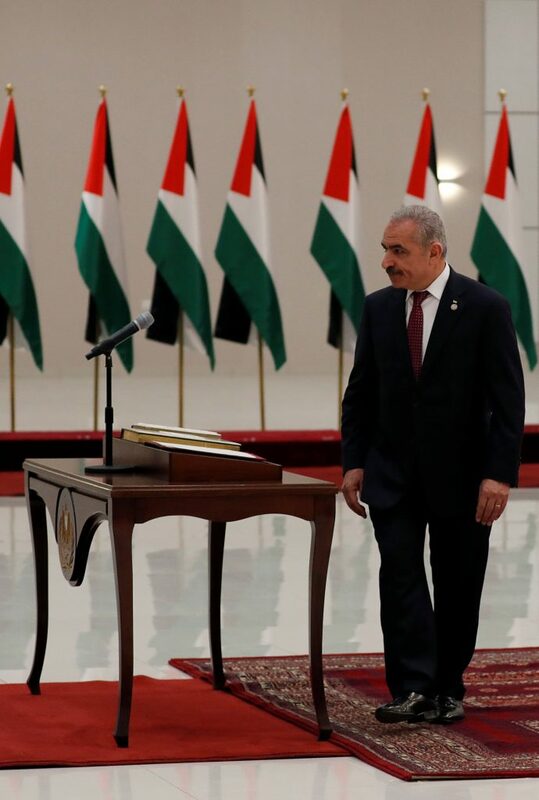 Mohammed Shtayyeh, an economist and longtime Abbas adviser, will serve as prime minister of the Palestinian Authority (PA). Foreign Minister Riyad al-Maliki and Finance Minister Shukri Bishara will continue in their positions. The rival Hamas group that runs Gaza called the move a blow to unity efforts that have faltered since the two groups signed a new reconciliation deal in Cairo in October 2017. Disputes over power-sharing have blocked the implementation of the agreement. “This is a separatist government, it has no national legitimacy and it will reinforce the chances of severing the West Bank from Gaza,” said a statement issued by Hamas at the swearing-in ceremony in Ramallah. Nickolay Maldenov, the U.N. special Middle East peace envoy, welcomed the announcement of a new government and promised to cooperate with it. “The United Nations remains fully committed to working with the Palestinian leadership and people in ending the occupation and advancing their legitimate national aspirations for statehood based on U.N. resolutions,” Mladenov said.